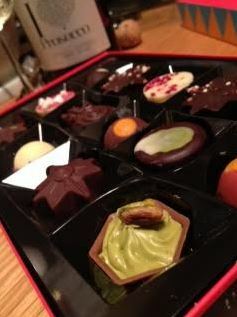 I’m always buying Hotel Chocolat chocolates. I genuinely mean *buy* not just that I get given lots. While I was given a ton at the Christmas press event for short lead press (not in July for long lead :-D) I also go in and buy lots at Christmas. 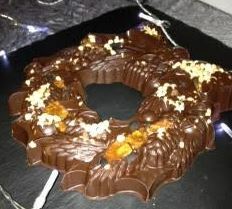 This dark chocolate Christmas wreath studded with chocolate is absolutely amazing. I’m not fussed on the milk chocolate version this year but that has as much to do with my wheat intolerance as with my preference for less stuff in my chocolate. 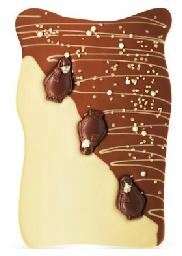 Now, don’t get me wrong – the chocolate is absolutely wonderfully and chock full of extra goodies but the dark version is just nicer to me. I liked it more even though I don’t dig weird sultanas but the fruits are really beautifully done. 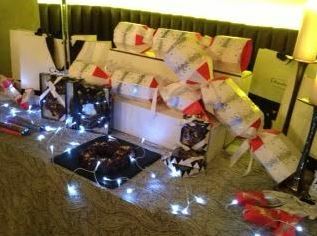 The chocolate selection for this year was delicious. In fact, I tried several of them with Prosecco and I can verify that most of them taste absolutely brilliant with Prosecco. After the third glass all of them taste AWESOME with Prosecco 😉 So grab one of the lovely round boxes of lots of chocolates or for yourself grab an H box (or, you know, a round box 😉 ) and ENJOY the festive flavours like mulled wine (delicious with distinctive spiced flavours), caramel stars with delicious liquid caramel (some are filled with praline), rum punch (kinda just boozy) and all the others. Speaking of rum punch, why not skip the non-boozy chocolates and just stick with the boozy ones. In fact, just grab a plastic cocktail glass FULL of rum punch chocolates. There’s one with snowballs but RUM PUNCH! 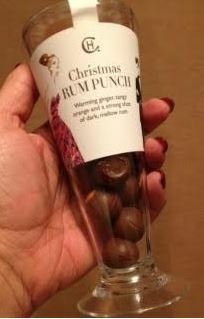 Go for it people – RUM PUNCH chocolates! CHRISTMAS CRACKERS FILLED WITH CHOCOLATE! (no, I haven’t been drinking but I have had a lot of caffeine – why do you ask?) – I love chocolate and whole little silly dice games and plastic things are fun, chocolate is better! Hotel Chocolat have THREE different types of chocolate filled crackers – the small ones which are perfect for individual place markers, the medium ones which are like a traditional Christmas cracker with a hat and several chocolates and some of the worst jokes on the planet, the big one is just PACKED with lots of chocolates, a slew of hats and all of the worst jokes on the planet. I mean, these jokes are so bad you’ll have to be careful about releasing them into the wild! 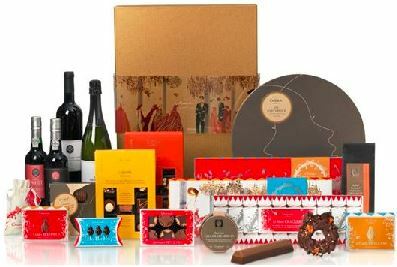 The chocolate is sealed so you can indulge in as much or as little and guests can take them home with them. There are so many other things – the alternative mince pies have always been my favourite. 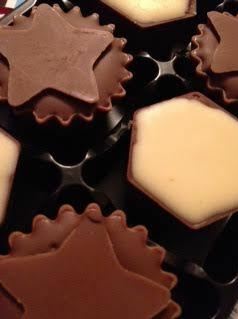 They now have a mixed box with other white chocolate truffles but I’m partial to the original version – chocolate caramel with a bit of praline in a chocolate shell with some cute chocolate stars on the top.